Prepare for celebrating Christmas with live radio featuring Christmas music and songs 24\7! 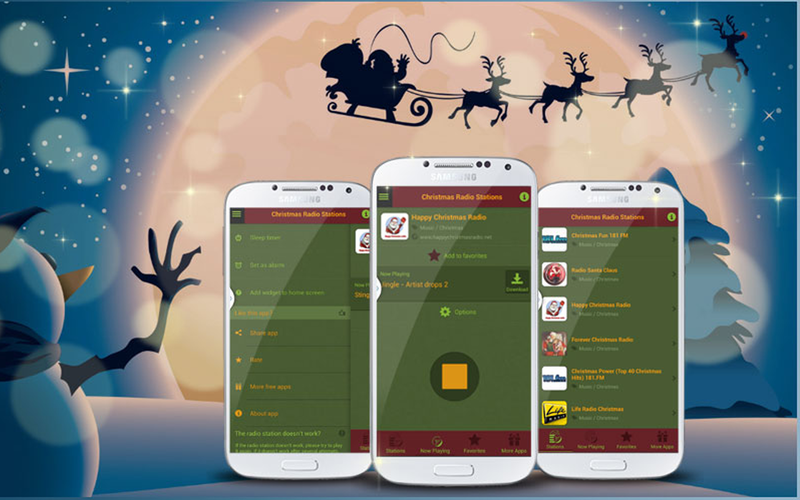 Get into the mood for Xmas and download free our Christmas Radio Stations app NOW! You can listen to Christmas music radio app with or without the headphones, which allows you to take and listen to music anywhere you happen to be. If you want to fall asleep to the sounds radio Christmas, set a timer for a radio station and it will turns off by itself at time you want. On the other hand, set an alarm to wake you up in the morning and the radio station will turn on at specified time. Also, you can share your favorite music with your friends and family. Create a shortcut to a favorite Christmas radio station on your home screen. In order to control the stations, widget of the app will appear in the notification. 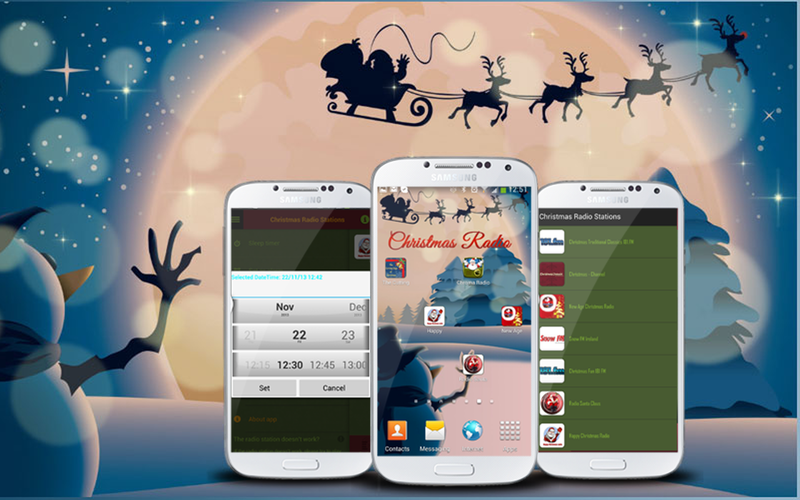 The radio channels collected for creating this Android app, is what makes it one of the kind. In this app you will find many stations, and for a quick access, add them to favorites by marking them with a star.